CCS from Erik Thienes on Vimeo. CCS partnered with the nationally regarded BJ's Restaurant and Brewery chain to replicate and remodel an historical bank building in Pasadena, California to restore its 1920s art deco styling. For the ceilings, CCS removed existing old pilasters and duplicated new pilasters. CCS then manufactured and installed walnut wood soffits and UV-printed Tiffany style light panels. New millwork consisted of stained maple walls, a complete bar package including new lighted back bar hosting a 152" HDTV, POS stations, hostess/server stations, menu boxes, lawyer's office lobby, restroom vanities and doors, entry mirrors with bronzed finished frames, and large custom-framed UV-printed art murals throughout the restaurant. Newly-designed booth seating, waiting benches, granite tabletops and designer bases completed the package. 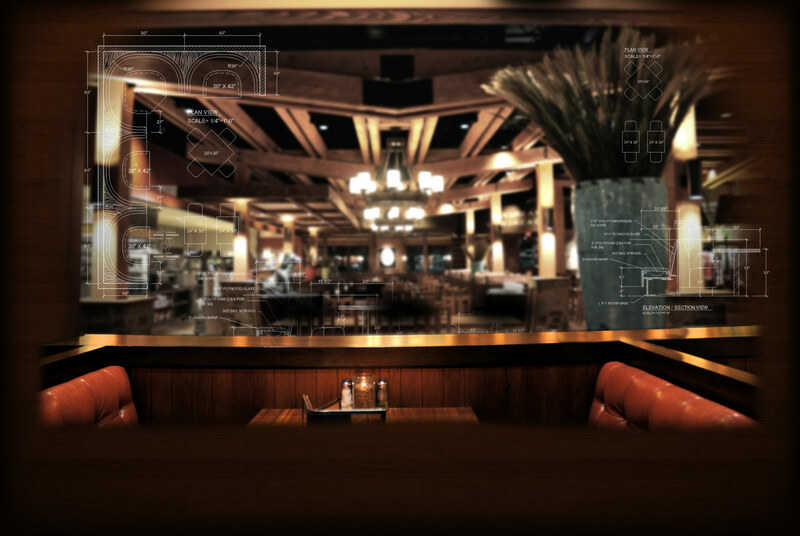 From design planning to turnkey installation, the CCS team worked hand-in-hand with BJ's Restaurant to ensure their desired results were achieved. CCS welcomes all projects, large or small. Please give us a call.